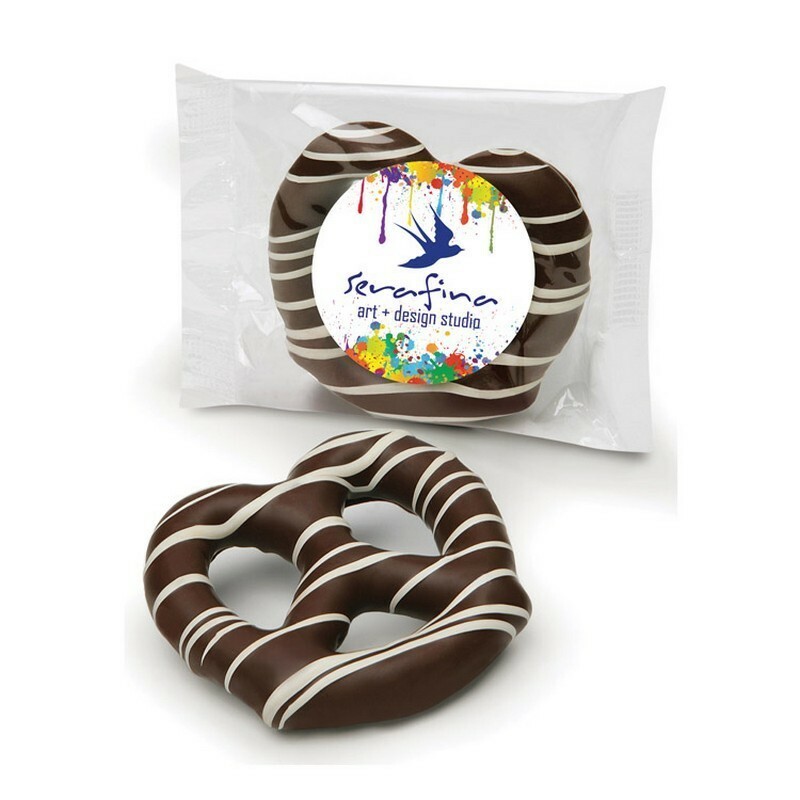 Crunchy, jumbo pretzels are hand-dipped in rich, premium dark chocolate, then drizzled with contrasting stripes to create a delicious sweet and salty sensation. Imprint area: 1.75D; full bleed: 2.25D; live area: 2D. Includes:Dark Chocolate Dipped Pretzel, .8 oz.